There are many ways to look young and attractive but most of them are too expensive and even dangerous like plastic surgery or too expensive makeup products that can bring to fatal skin diseases. On the other hand there is simple and very effective way to look young. The secret is proper chosen haircut that will hide some imperfection and add youthful vibe to image. Nowadays there are so many beautiful and elegant hairstyles that will be suitable for ladies over 40 but the best one is surely medium length haircut that has modern look of short design and functionality of long hairstyle. Isn’t it great to have such a lifesaver? 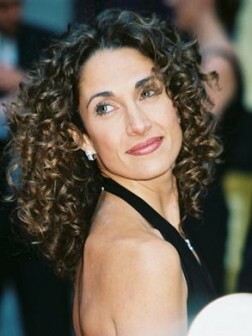 Women over 40 should keep in mind several rules when choosing new haircut. First of all it should not be too modern with asymmetric layers or bright colors. Such design will look grotesque. Next it should not be blunt cut as mature women often face the problem of hair thinning and the only way to deal with dull hair is layering. The best one is graduated layering that will create an illusion of thick and voluminous. So, one detail is clear. Talking about medium layered hairstyles I just can’t forget about bob haircuts that are so popular among celebs. For mature women both long and short designs are suitable. When styling bob haircut you should use round brush and lift the roots while blow drying. This is the only way to have voluminous and flawless hairstyle.